When you receive the invite you’ll get a message from the person who invited you. 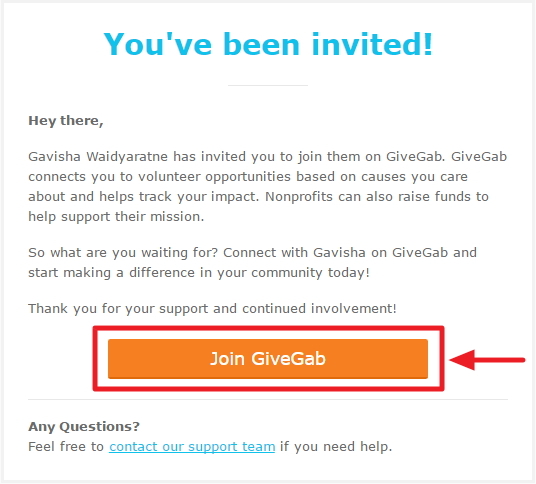 To accept this invitation just click the “Let’s Get Started” button and you will be redirected to the GiveGab sign up page. 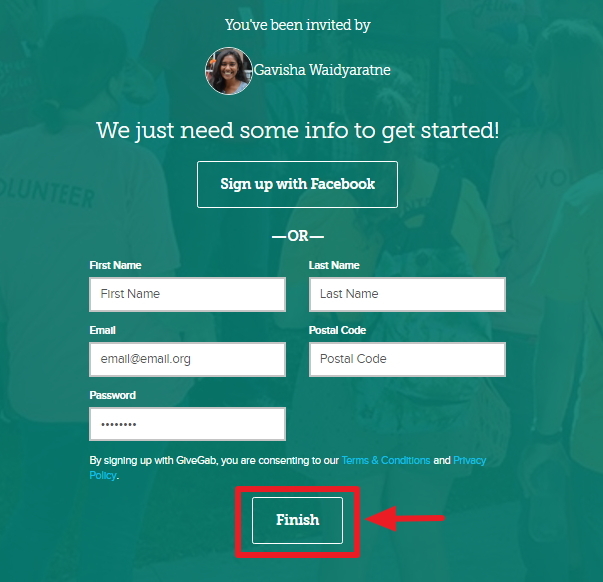 The “Let’s Get Started” button will take you to the sign up form pictured below. Add your information, or sign up through Facebook and click “Finish”! Yay! You’re officially a member of GiveGab!